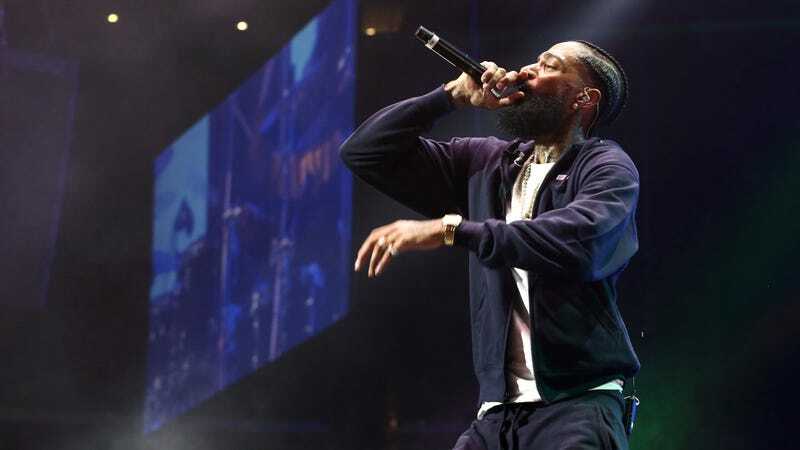 The man suspected of fatally shooting Nipsey Hussle outside his Los Angeles clothing store earlier this week is in custody, according to police. LAPD Chief Michel Moore told reporters Tuesday that Holder, a gang member, approached Hussle and the other men he was with several times Sunday and spoke with them. Holder then returned with a handgun and opened fire. The New York Times reports that police believe the argument Hussle and Holder got into was a “personal dispute,” though cops did not provide any additional information. Holder is being held without bail.